The ultimate paradox of living in the information age is that with all the wisdom made available to us, it is as hard to achieve a dream as ever before. Could simplicity, hard work, and detailed planning be the answer to achieving a lofty goal? 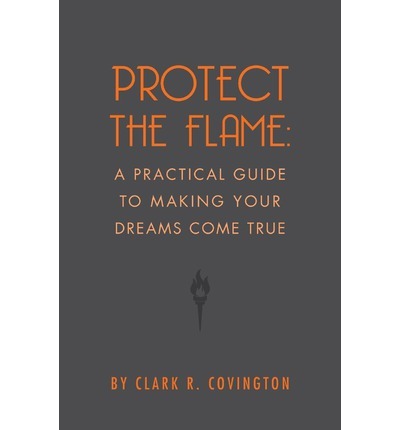 Author Clark Covington thinks so, and in his new book, Protect the Flame: A Practical Guide to Making Your Dreams Come True, he describes the same detailed game plan he has used to make dozens of his own far-fetched dreams a reality. Learn the real secrets to achieving lifelong goals by subscribing to the simple methods of getting things done illustrated throughout this book. It explores everything from the importance of the Ten Commandants to why eating fajitas on Friday night can help your dreams come true. The book intricately weaves instructional advice with relevant anecdotes that are sure to entertain, enlighten, and, most important, educate. No other book will show you how to achieve your dreams in such a candid, down-to-earth style as this one. For every dreamer in the world, this is your handbook.